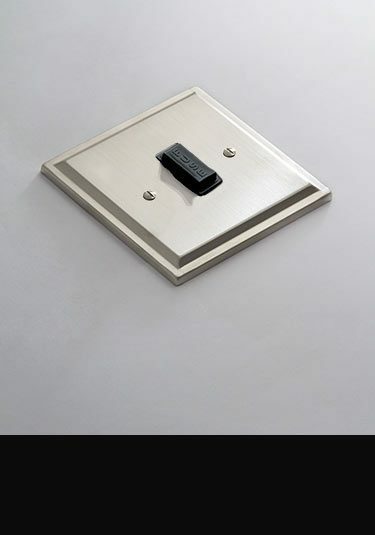 This luxury collection of light switches, plug sockets and other electrical fittings are finshed in a satin bronze finish onto real metal backplates. Classically contemporary in design, but also a lovely design choice for traditional interiors. A large range matching electrical fittings are also available including TV, satellite and telephone points, cooker and fused spurs, light switches with rocker, toggle and dimmer light switching and single and double plug sockets. Manufactured and designed in Britain for quality and longevity. 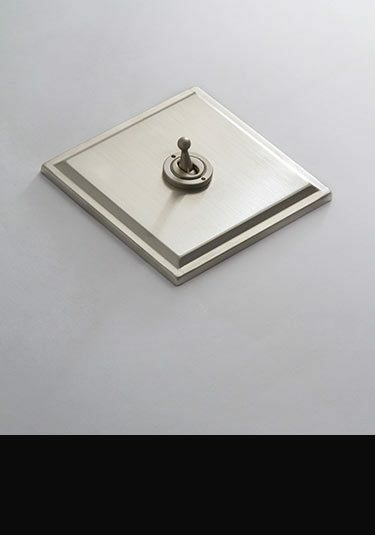 Satin nickel electrical switches available with rocker, toggle and dimmer switching. These exclusive household electrical fittings are British made ensuring high quality. These high quality nickel finished electrical fittings are classically contemporary in styling and an ideal addition for design led interiors. Manufactured and designed in the UK. 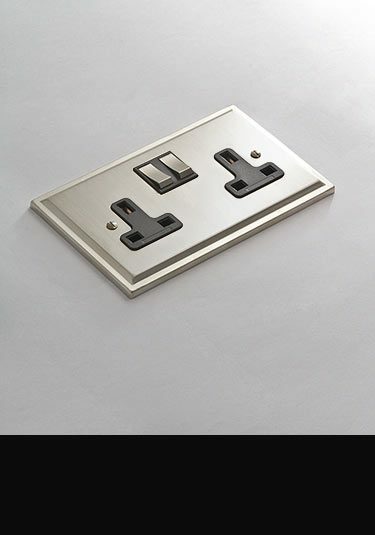 Full range of nickel finished household electrical fittings including TV, satellite and cooker sockets plus data points, fused spurs and others. Manufactured and designed in the UK.